I wanted to give y’all the inside scoop on my agenda for the 16-17 school season. I bought this agenda before school started and I write everything and anything school work related to help keep me on track with due dates and assignments! 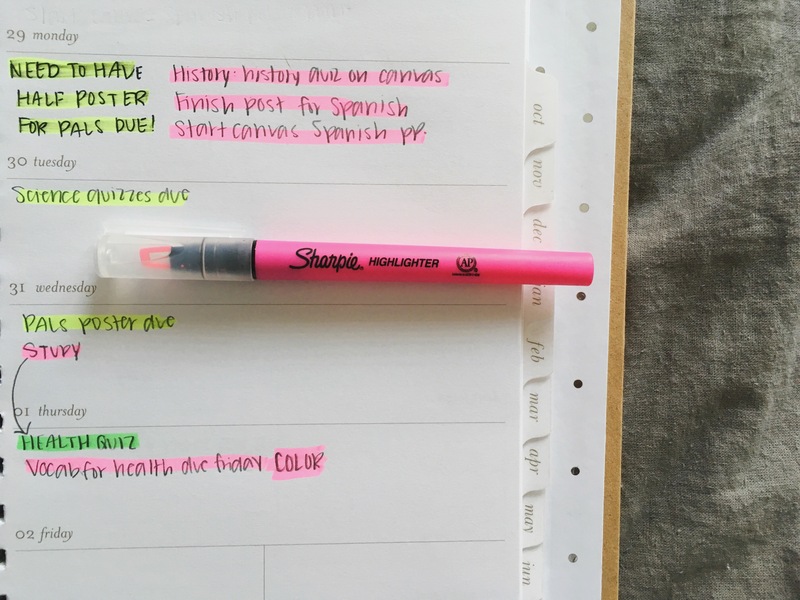 I have my tips and what I use to keep my agenda organized and neat; enjoy! 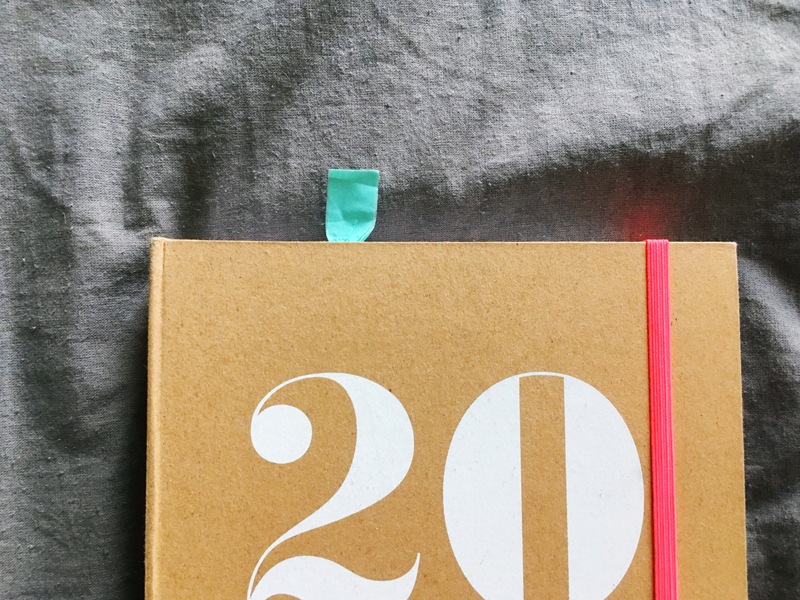 First off, I want to introduce to you my favorite agenda ever… It’s the Sugar Paper Monthly Planner! It is to die for, I think! It has so many cute features and I find something new everyday on each page. It has so much room to write assignments, which is great as well! This is the inside look of last weeks homework and due dates. As you can see there is quite a lot of color on each day. 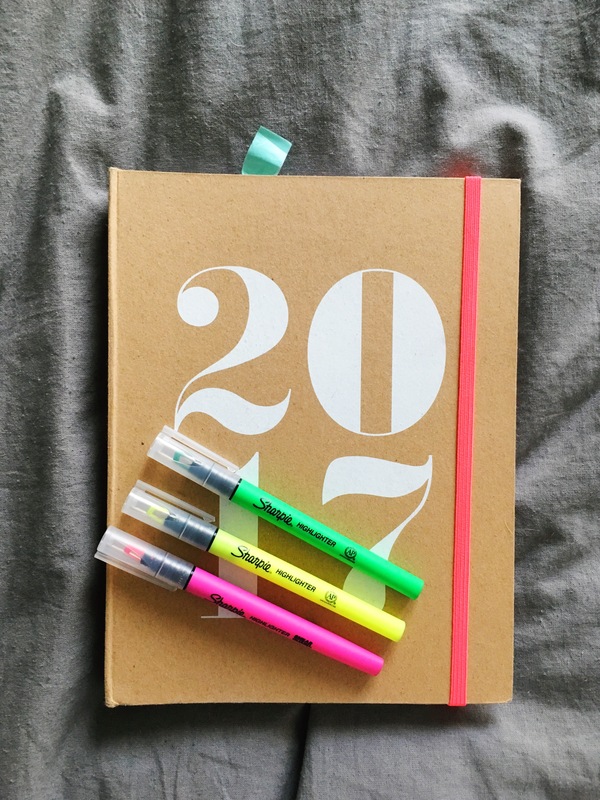 I use highlighters (as you will read about soon) to help me figure out what everything means in my agenda. To begin, we’re going to start with homework. 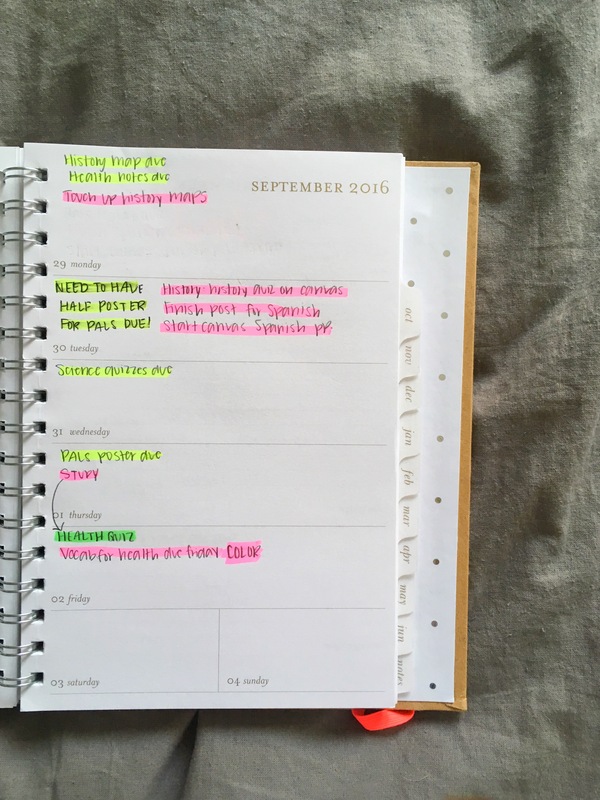 When I’m assigned homework, I automatically jot it down in my agenda and highlight it with my pink highlighter. I always know a pink highlighted sentence means it’s homework! 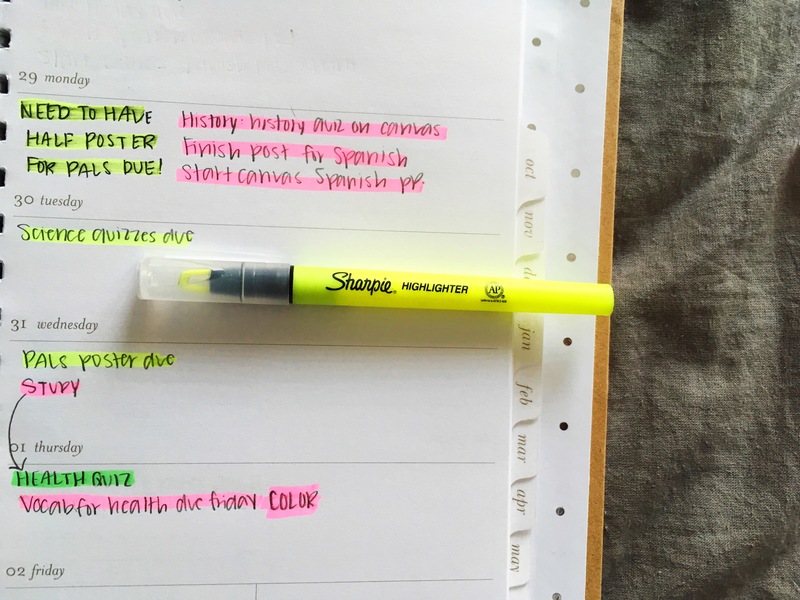 Due dates are super duper important in school, so I used the brightest highlighter that I owned to help get my attention of future due date so I don’t miss them. 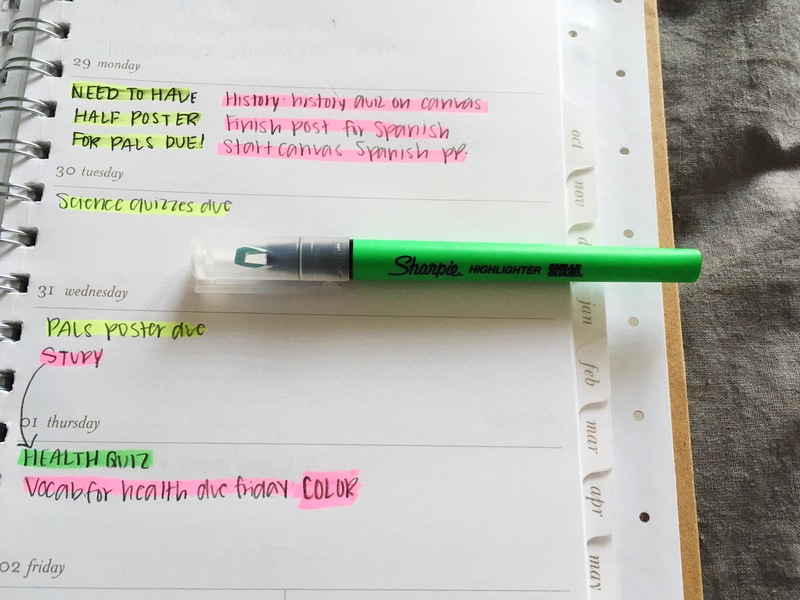 TIP: USE THE BRIGHTEST HIGHLIGHTER FOR THE MOST IMPORTANT SCHOOL WORK. Finally, the green highlighter helps me keep up with tests and quizzes, so I know when I need to study. I think highlighting tests and quizzes are the most important for me, so I understand when they are happening and for what class. This last pic is a little DIY hack that I used last year and now this year! All you do is take a strip of washi tape and slide it through a paper clip, then fold the washi tape over. The washi tape should be folded onto each other in the paper clip (if that even makes any sense). I use this DIY to help me keep my place for the week in my agenda. I hope you guys liked this new post! Have a great three day weekend from school! See you soon! Loved this! The agenda is so cute! and color coordinating is essential for me 🙂 nice job!